Green Impact Ecoversity and Estates combine for Green Gown Award! 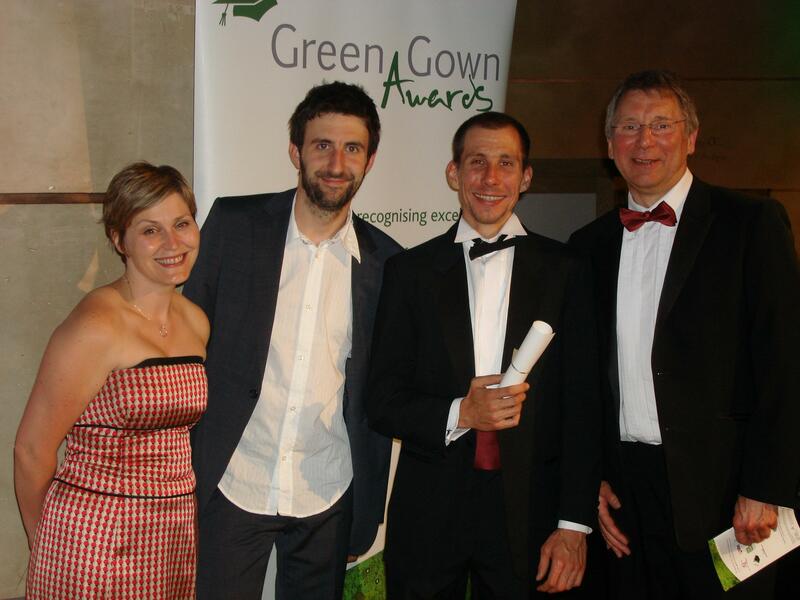 This year’s Green Gown Awards, the most prestigious recognition of successful sustainability projects and programmes in the sector saw the University of Bradford be Highly Commended in the Continuing Improvement Specific Area category for our ‘Being Well on a Greener Campus’ application. This application focused on how the major City Campus regeneration which has occurred since 2004 has enabled improvements to the wellbeing of campus users and enhancement of the ecological value of the site. The wellbeing element of this application is a massively important element of the Ecoversity programme which is often over looked in favour of ‘green’ initiatives. A visionary and transformational inner-city campus regeneration programme to promote well-being for all has formed a major and discrete component of the University of Bradford’s institutional Sustainability Project (Ecoversity). Acknowledging a number of significant negative problems surrounding the campus and well-being – a bold decision was taken in 2004 to regenerate a ‘new’ green, safe, healthy and socially inclusive campus. The Campus Well-Being programme integrates the social, environmental and economic pillars of sustainability by investing in new and refurbished sustainable campus buildings and facilities (e.g. sports centre, student union, student hub, student village), connecting these with major new biodiversity and ecological landscaping projects to create a green heart and pathways whilst removing and designing out unsafe, inefficient, unhealthy and aesthetically depressing features. These changes are creating new forms of activity (e.g. student growing group, staff and student annual bird watching survey); novel and innovative schemes (e.g. orchards in the new car parks, new urban pond which will support sustainable urban drainage and biodiversity); institution-wide programmes (e.g. well-being festival) and new ways for staff and students to become involved in shaping and taking ownership of their Campus Well-Being. Student and staff awareness and satisfaction of the activities is high and increasing.